Taemon has always known he's a bit different. But in the walled city of Deliverance, where everyone possesses a form of telekinesis known as psi, being different is dangerous. Being different can get you labeled a freakling. Or worse, see you banished to the Powerless Colony, where even the simplest tasks, like getting dressed or turning on the lights, must be done by hand. Taemon has learned to blend in, to pretend he's just like everyone else in Deliverance. To pretend that he can't send his mind wandering into objects and see exactly how they work. But Taemon's brother, Yens, suspects the truth, and he'll stop at nothing - even murder - to expose Taemon's secret. 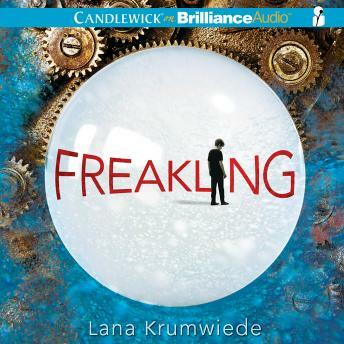 In this thrilling dystopian novel from newcomer Lana Krumwiede, Taemon must choose between accepting his life among the freaklings or fighting for the destiny he's never wanted - and all that comes with it.